I purchased some Cox models that were flown, sometimes crashed, then put away ... without cleaning ... for 40+ years! Most have a pretty good coating of oil, dirt, and anything else that could be grabbed from the surrounding environment, and the decals - though often unrecognizable at this point - really don't want to come off in hot water. I suspect some "Goo Gone" remover would help, but just curious: has anyone here found a solvent that's effective for cleaning but doesn't damage the plastic in any way? When all is said and done, there are some very valuable parts under all that goo! Dennis, rather than solvents, I would use detergents. You never know, with old plastics, so better be on the safe side. I would go with stuff like simple green, or dishwashing liquid. Not hotter than what your hands can handle so the plastic won't go soft. The link should take you straight to the correct page, but in case ot doesn't, it's on page 6. For years I used this Goof Off product, worked fantastic. Went to get more and not sold anymore. Should have bought a case. 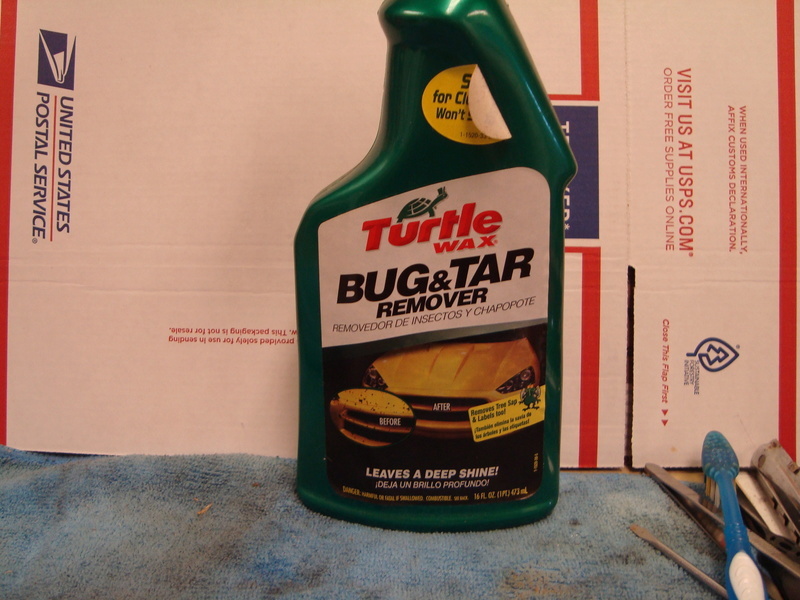 Next I was going to try Bug and Tar remover but haven't had a dirty model yet. me both were basically, deodorized kerosene. Hi Bob, the Goof Off 2 is different. It was for plastic. It must have been nasty stuff cause it had warnings all over bottle but would melt 40 year castor instantly. They discontinued it. I got a feeling the Bug and Tar remover will work but need to find an old, castor covered model to try it. Congrats on you engine of the month!! Love when I vote on the winner!! 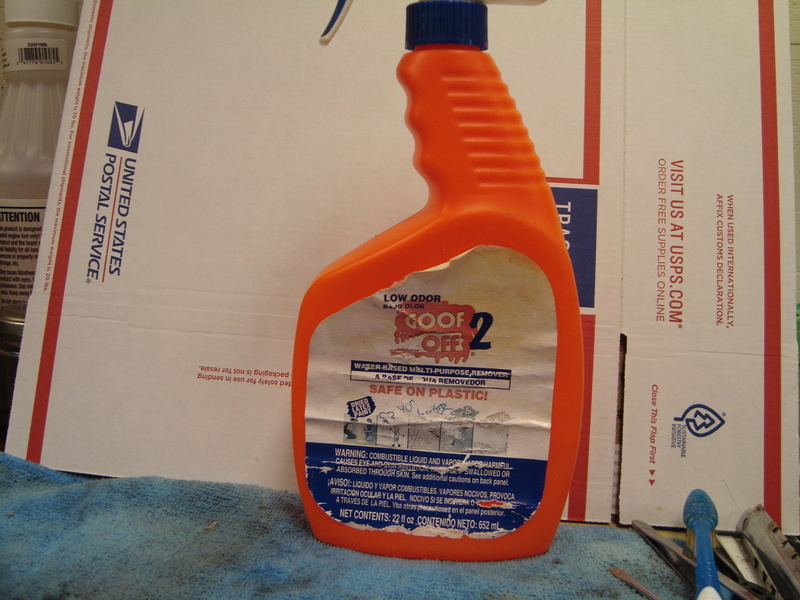 ...remember good o'l WD-40 is basically stoddard solvent, a mild solvent along with a small amount of oil added. Does a pretty fair job of cleaning old caster. I can assure you that hot water, dish soap, Simple Green, tub & tile cleaner, similar household cleaners will only remove some of the crud in many cases. Even when soaked for a couple of days. Jason likes denatured alcohol, but I don't know if he uses it on plastics. I haven't tried it yet, but it's on my to do list. I think it would do a better job than Simple Green on metals in some instances.